When it comes to technology, it's better to be proactive rather than reactive -- especially when your personal information is on the line. Since your financial records and private files mean everything to you, they mean everything to us. 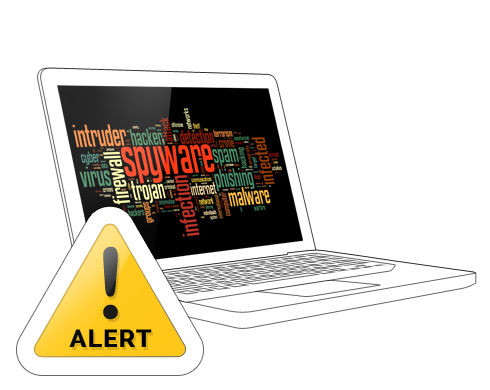 Stop the bad guys before they even try to intrude with Virus Protection services from iTech. We'll take a thorough scan of your computer to make sure everything's in tip-top shape, and review some tips on how to stay safe online. If you don't have adequate anti-virus software on your Windows computer, our Virus Protection service come with award-winning security software to keep your computer protected from future threats. And, all Virus Removal and Virus Protection bundles come with our unbeatable post-service support, absolutely free for up to a year after your appointment. This in-home appointment includes the scan of your computer with anti-virus software (either already installed or iTech-provided) to ensure your computer is currently - and remains - protected from viruses and other harmful files. Contrary to our Virus Removal services, which treats an already infected computer, our Virus Protection service takes a proactive approach to prevent infections from ever occurring. Since viruses evolve over time, and since no anti-virus software is perfect, our Virus Protection services come with our post-service support, which provides coverage for your computer in the event you become infected in the future. I thought Mac's can't get viruses though. What gives? Contrary to popular belief, Mac computers can also get infected. Increasingly popular malware and adware are now targeting unsuspecting Mac users, overwhelming them with advertisements and convincing them to buy premium technical support simply to lurk through their files. While Mac-based issues don't fall under our conventional Virus Protection services, we offer services to protect Apple computers as well. What if I already have a virus? Have no fear! Our Virus Removal services would better suit your already infected computer. What happens if I become infected in the future? If you suspect your computer becomes infected after your initial appointment with us, simply give us a call to arrange another appointment. Our complementary post-service support, which comes with all Virus Protection services, provides coverage should you encounter a virus in the future. Based on previous appointments, the average price for this service is $130.00. Keep in mind that our quoted prices include all possible services for that service level, including the price for anti-virus software and the installation of it. If you don't need a service to be performed, the cost of that service will be deducted from the service bundle on your receipt.